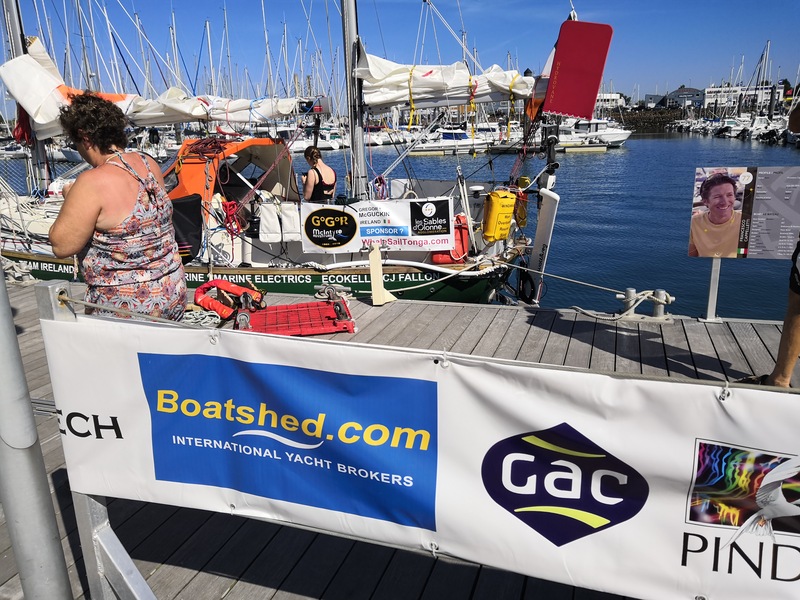 Boatshed HQ team members are on location at the race Village in Les Sables-d'Olonne for the start of the Golden Globe Race on Sunday. 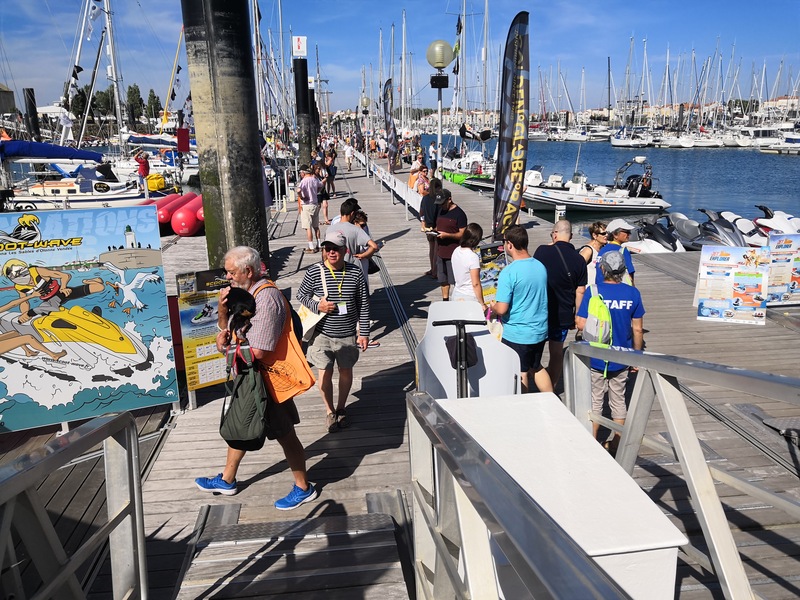 With only a few days to the start, the Golden Globe Race Village in Les Sables d’Olonne is buzzing with activity as 18 skippers and their teams from 13 countries work feverishly to be ready for the Noon start on Sunday. The skipper with the biggest mountain to climb is Italian Francesco Cappelletti who’s Endurance 35 007 (Purchased via Boatshed Sud Med.com) arrived by road only last Friday. She’s been launched and rigged since, but her completion is far from complete and Capelletti has still to make three days of solo sea trials in her. Fifty years ago fellow Italian Alex Carozo, one of the nine starters in the original Sunday Times Golden Globe Race faced a similar problem with his boat and sat on a mooring in isolation for 5 days after the start deadline, completing his preparations. Carozo, now 86, arrives in town today and will undoubtedly be rolling up his shirtsleeves to help. But Cappelletti has help aplenty. Six apprentices from the local Tabarly professional boatbuilding college have already volunteered their services and other locals are providing moral support, plus Boatshed's founder Neil Chapman has also offered help on the docks. It is time that is not on Cappelletti’s side. All competitors have until Noon on Friday to pass their safety inspections or they miss Sunday’s start. Nabil Amra, the Palestinian/American sailing the Biscay 36 Liberty II is also racing against time. 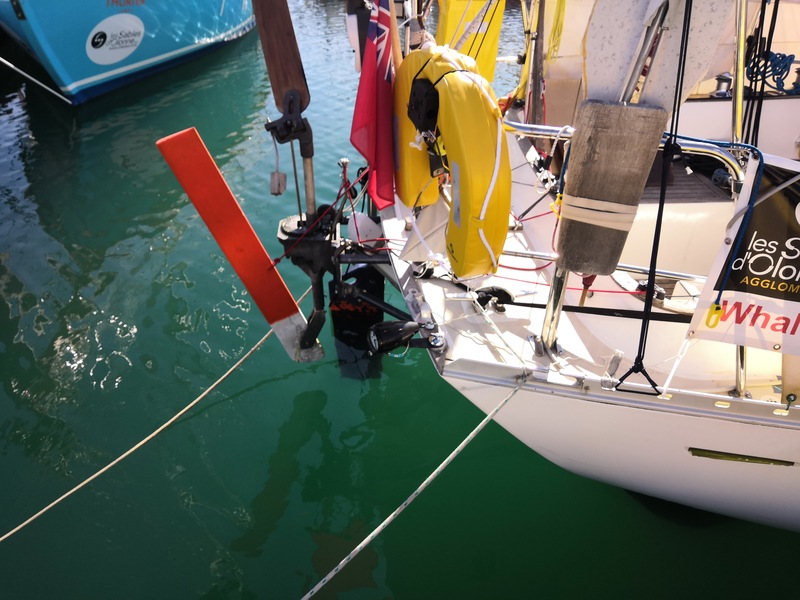 The problem he has is that his emergency rudder, which forms part of the self steering gear, is not due to be delivered until Friday morning – just hours before the Noon safety deadline set by the French authorities. 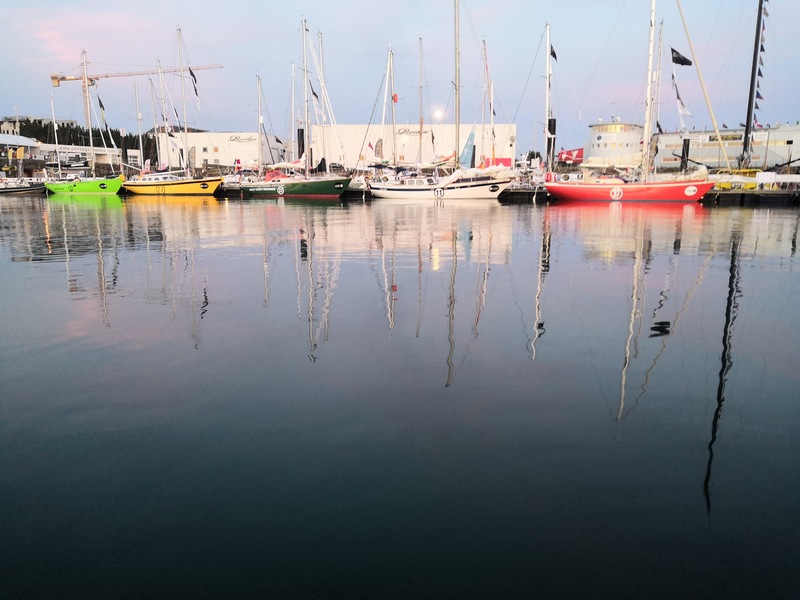 If any fail to make Sunday’s start, then competitors have six days grace to complete their preparations before the start closes permanently at Noon on Saturday 7 July. Several competitors purchased there boats via Boatshed.com and we are proud to be offering ongoing sponsorship and support for the GGR event over the next 10 months. We are also in the process photographing each of the boats before they leave on Sunday. 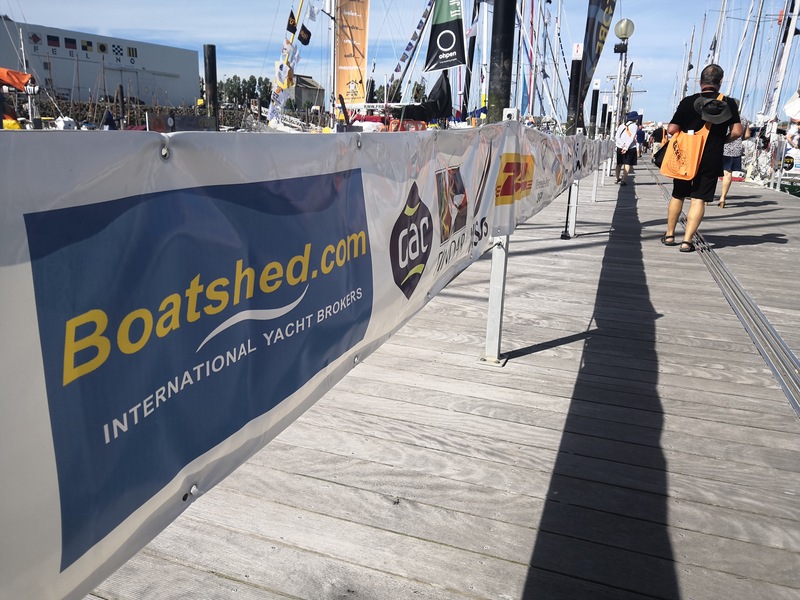 This means Boatshed customers will be able to see exactly how each boat is set up, plus get a good understanding of deck gear and equipment that is on each boat.